This Pumpkin Curry is the ultimate winter comfort food! Including hidden ingredients to intensity its robust aromatic flavours. It’s nutritious, filling, easy to prepare and the best way to use seasonal ingredients. The snow has started falling and my body has been craving nothing but stews, soups & curries. As much as I love indian, thai and coconut based curries nothing brings me more comfort than Japanese style curries. It takes me back to my childhood when I would come home from school after trekking through the snow and have a blast of the super aromatic smell of curry filling my nose. This curry was inspired by my mom and her curry recipe. The vegetables (other than kabocha/pumpkin) used in this recipe can be changed up and you can use whatever you have on hand! Kabocha is in season and so flavourful around this time- I am in love. I have also included a special ingredient to intensity and bring out the flavours of this delicious curry: coffee. Yup, COFFEE. In Japanese cuisine, kakushi aji is often used. Kakushi aji mean hidden flavours and these hidden flavours are meant to bring out and intensity the flavours of the main ingredient or add a accent to the dish. I’ve tried all kinds of kakushi aji’s in curries and my favourite has to be coffee. 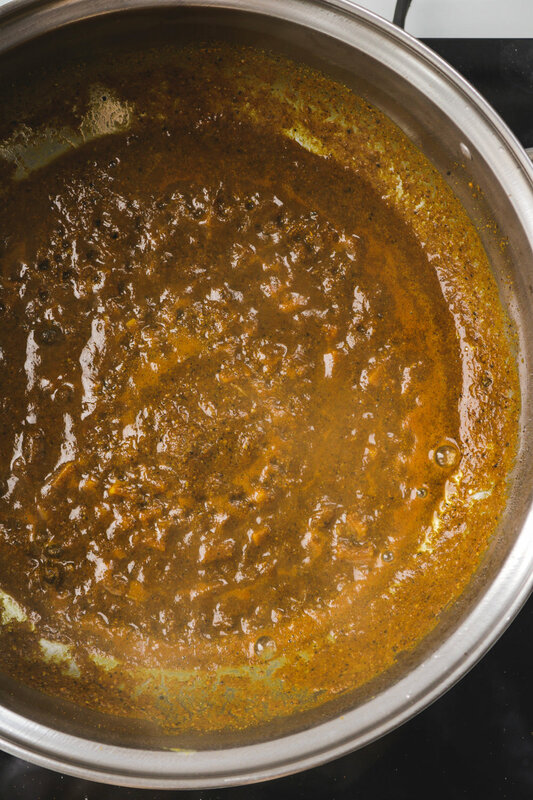 It’s bold flavours truly enhance the spices used in this recipe. If you want a more sweet curry recipe, you can try adding in grated apples or ketchup! If you want an even more rich and bold flavour, dark chocolate is delicious. Play around with hidden ingredients and find what you like! When pureeing the kabocha to make the roux, baking it will yield a more robust flavour- so if you have some extra baked kabocha use it here! 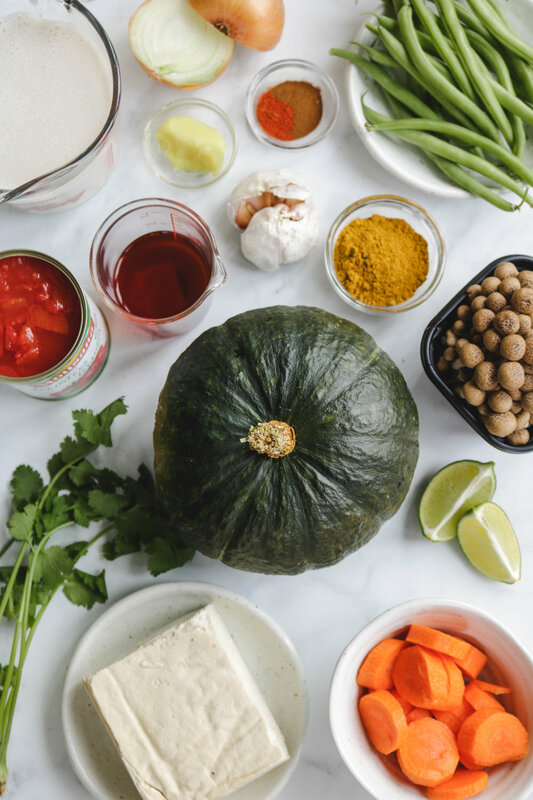 If you recreate this Vegan Pumpkin Curry please share it and let me know what you think by tagging me on Instagram @lisakitahara, I love seeing all of your tasty recreations! Lightly steam 3/4 of the kabocha squash (around 700g) over the stove or in the microwave. 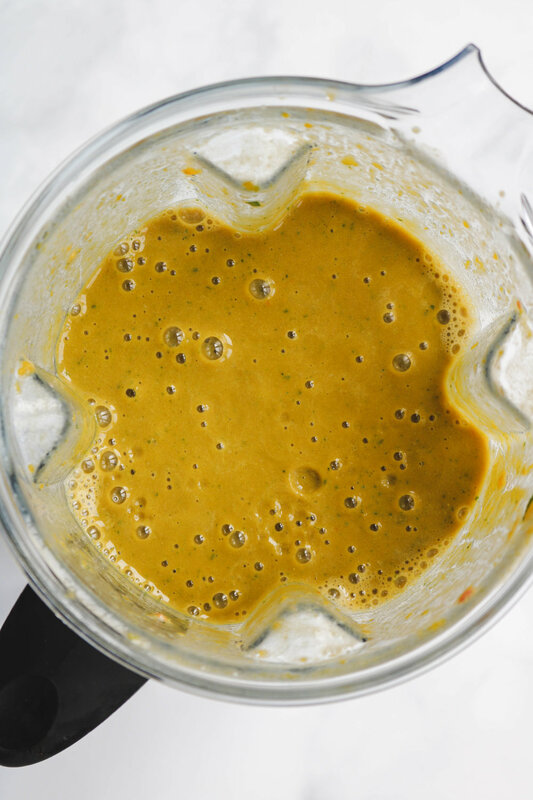 Add kabocha, tomatoes, soy milk, cilantro and coffee into a high speed blender and blend until smooth. Set aside. Fry the garlic, ginger and spices on medium high in a large pot (3 minutes or until fragrant). Add in the firm tofu, carrots, rest of kabocha (300g) and roux into the pot. Mix well and then bring the heat down and simmer covered for 30 minutes. Stir every 5-10 minutes. Once the kabocha is soft, add in the green beans and soy sauce and mix. Serve over a bed of rice and top with lime juice and cilantro.